3/4", 1-1/32", Or 1-1/4" Steel Roller. 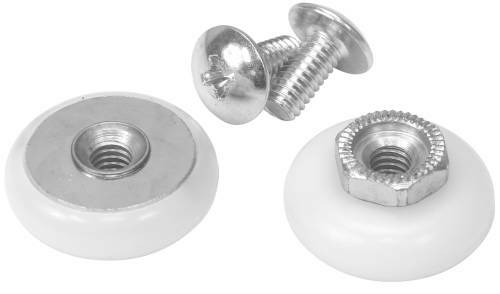 REPLACEMENT PATIO DOOR ROLLERS 1-1/4 IN. OR 1/4 IN. OR 5/16 IN. 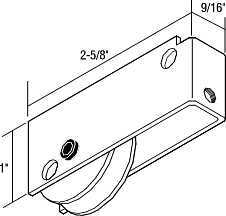 Replacement Ball Bearing Patio Door Roller. 1-1/4, 1/4, Or 5/16. Material: Steel. Sold In Multiples Of 2. Screws Included. 2 Per Package, Priced Per Package. Type: Flat, Diameter: 3/4". Screws Included. 2 Per Package, Priced Per Package. Type: Oval, Diameter: 3/4". Screws Included. 2 Per Package, Priced Per Package. Type: Oval, Diameter: 7/8".